Typing out a novel or even a quick email is not always the easiest on the on screen iPad keyboard. Even if it seems quick sometimes there are always a few mistakes that you have to drag your finger around to get to the right spot to edit it. This always end up taking much more time than you think it will. 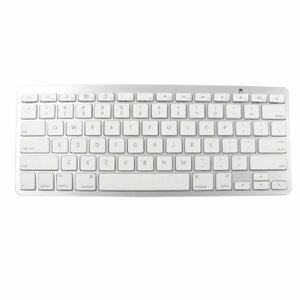 If you are looking for an affordable bluetooth keyboard for your iPad or tablet check out this deal on Amazon. The keyboard has buttons specifically for the iPad but will work great on most smartphones tablets. You can get this SANOXY"bluethooth" keyboard for only $15. * Bug fixes and support for Google TV devices. * Expandable notifications in Jellybean. For those who have forgotten about expandable notifications here is a reminder. When an app supports expandable notifications and you see the notification in menu you place two fingers on it and pull down to see more options. As you see to the left it gives you a bigger thumbnail and an option to go to the previous song. While it doesn't add a ton of new options, it does give you a nice notification widget to look at. This is the first Jelly Bean notification I have actually used and it really ads a nice touch to the OS. 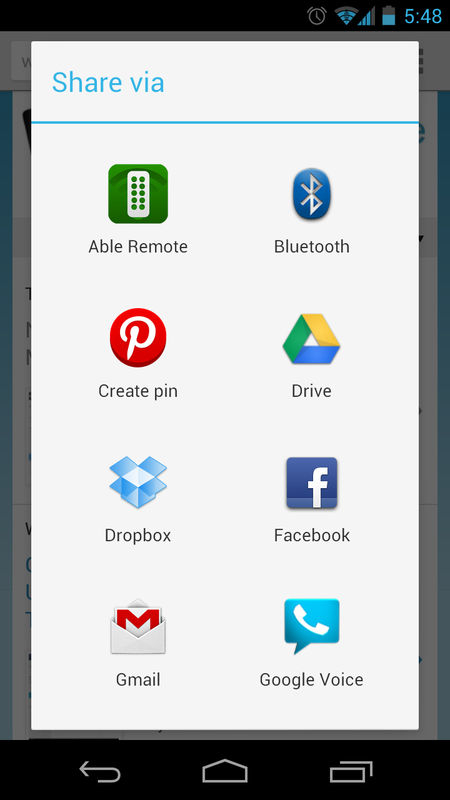 For many of you this feature is not available since Jelly Bean is no where on the rader to be available for your device. In this video I take a quick look at the newly released Pinterest App for Android. The app is fully funcional and is very easy to use. Once you have logged in or created your Pinterest account it will take you to the main page that shows the pins of all the people that you are following. At the top of the page you can create a pin by selecting the button and then taking a picture of choosing a photo from you gallery. You can scroll through all the pins on the main page and repin, like, or comment on a pin just by tapping on the picture. When you have selected a pin you can also click the menu button and you can download the picture to your device or you can share it with other social networks. Back on the homescreen you can also swipe left to browse through the many different categories or you can swipe right to view your profile as well as news and see your followers and those you follow. RePinning something from the web is where Android really has the advantage over other mobile operating systems. When you are using the web browser and you find something ou would like to Pin, all you need to do is press Menu, and then Share. You will then see the option to choose Pinterest as shown at the left. Once you select Pinterest it will then pull up all of the images from the page for you to select. You can then choose one and name the pin as well as choose what board you would like it on. 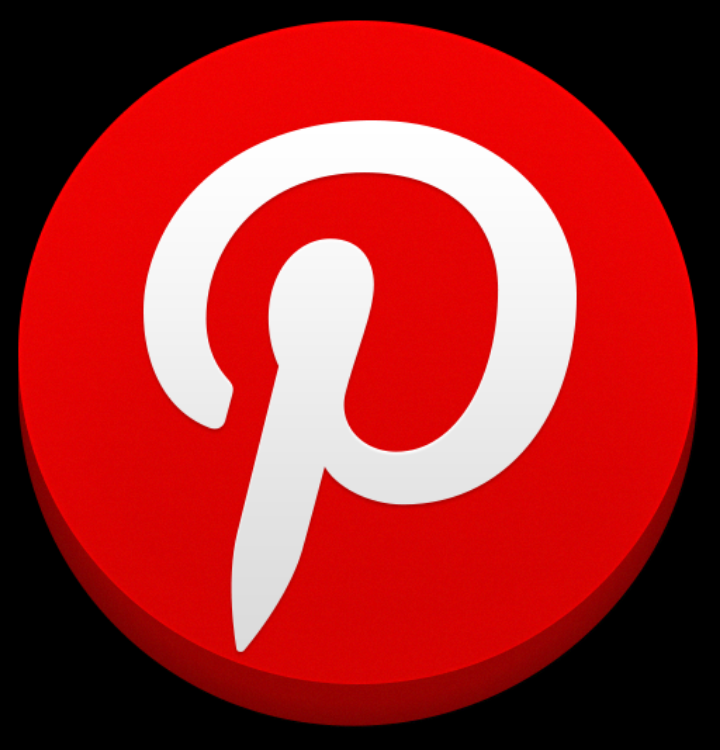 For an initial release of this app Pinterest has done an excellent job. I found the app to run very smooth and load images quickly. I would suggest being on Wi-Fi or LTE if you are going to do some heaving browsing and pinning. In this video I take a quick look at all the features that have been released in the new iPad Pinterest app. The app allows you almost all the same functionality that the web offers minus rearranging your boards. Once you load up the app you are first asked to login to your Pinterest account via Facebook, Twitter, or Email. If you don't have an account yet you can create one at first login. If you have not linked Twitter to your iPad it will make you do this first if that is your preferred way to sign in. Once you are logged in you will then see everybody's pins that you follow. You can easily scroll down the page to see all of the pins. To repin, like, or comment all you need to do is click on a picture and you are given those options. If a picture is too large you may need to scroll to the bottom of the page to see the comment menu. In the top left of the app there is a menu icon. You can open the menu by clicking on the icon or by swiping your finger on the screen to the right. In the menu you can browse different categories as well as open up a built in web browser or view your profile and settings. When you go to the built in web browser you can then search for anything on the web and then Pin It right from the app. This is works really well and it is easy to use. When you click on the settings in the menu you can easily change your Facebook sharing settings and other options just like you would on the web. Once you are done browsing a certain category or the web there is a X box on the current tab in the upper right corner that you can click to take you back to the main page. The app runs very well and is performs that main features of Pinterest well. If you have any questions please leave a comment below and I will do my best to answer you. For years YouTube has been a wonderful source to find new music to listen to that you don't have to pay for. Sometimes I felt like there could be a better way to listen to the music than through the standard YouTube player. Reddit user jimikain has created an application that allows you to create playlists on YouTube in a easy to using interface called deskamp. When you first go to the site you search for a song you want to here and add it to your playlist. You can then search for others songs you like or browse through suggested music or turn on Radio Mode that will randomly play suggested songs. One feature that I really liked was that you can select the music icon to find a different quality of the current song you are listening. If you strictly want to only hear the music and not see the video there is an option to hide that as well. Currently it is not working on the iPad or other mobile devices. For users of Google Tasks there has never been an official Android app. If you browse the Play Store you will find many apps that will allow you to sync your information with Google Tasks servers. One of my favorite applications is Gtasks. 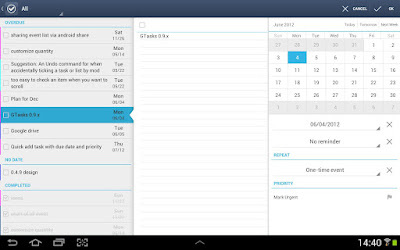 It is a beautiful user interface that lets you easily add tasks, notes, and even due dates. This wonderful app has now been updated to support Android tablets. This will hopefully help Google Tasks users complete their tasks easier on the big screen. Is The Verge's Galaxy Note 10.1 Unit Broken? Today Samsung announced its next member of the Galaxy Note Family. The Galaxy Note 10.1 comes with a Wacom-powered S Pen that allows for touch sensitive stylus tablet experience. 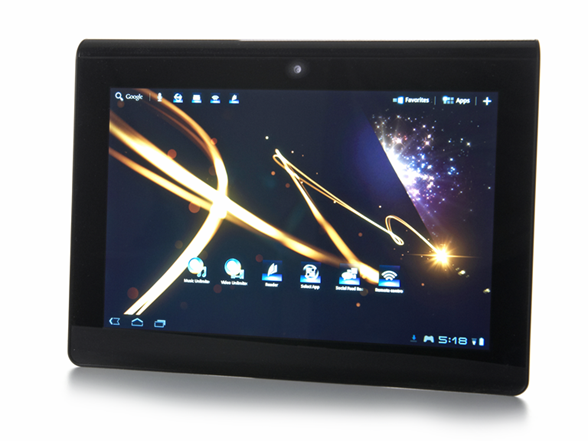 The tablet has a 1.4Ghz quad-core processor with 2GB of RAM. It will be available tomorrow with the 16GB costing $499 and the 32GB model at $549. The Verge reviewed the new device and while it is highly specked it received very low scores. In the video review it shows that tablet has a bit of lag just scrolling through home screens but the problem is very evident when opening up multiscreen apps. This allows you to use two specific Samsung apps in split screen mode. When switching from one app to the other there is almost a 2 second delay before the app begins to respond. 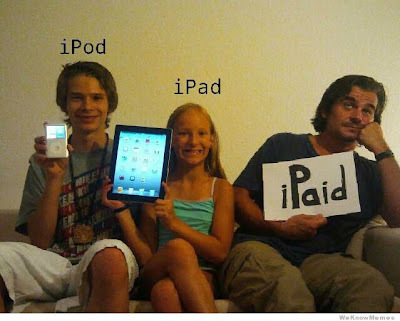 In a 3rd generation iPad world is sad to see so many devices struggle to match its quality. The Galaxy Note's screen is nowhere near the Retina Display of the iPad and it is still struggling to keep its performance up. While many have suggested it is simply a bad review unit it really is making Samsung look bad. Is the interface and multiscreen ability enough for you to see pass the lag and purchase the tablet? 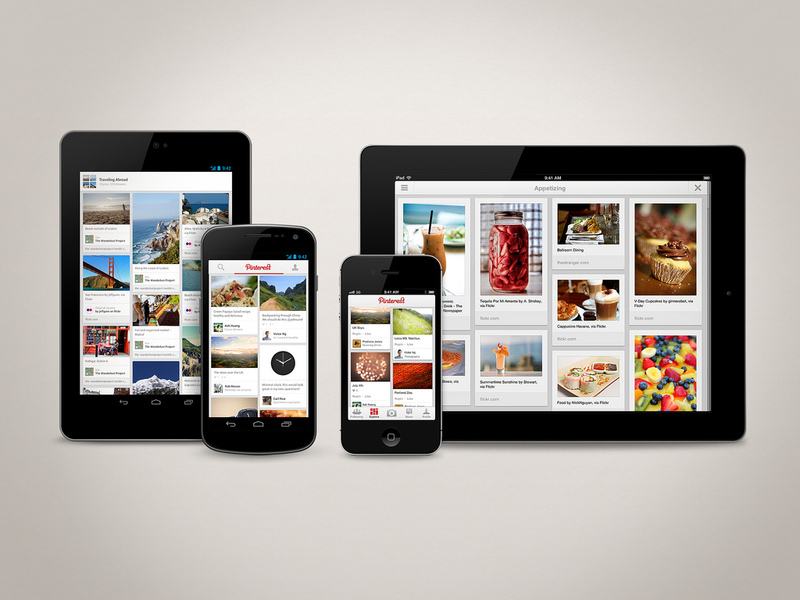 After a very long wait Pinterest has finally released a Android app and a iPad app. The Android app will work on phones and tablets alike. They have also updated the iPhone that allows you to see more pins at once. Being able to Like, Comment, and Repin is a breeze in the new speedy app. You can easily login with your email address, Facebook, or Twitter account. If you own a Kindle Fire the app will now available in the Amazon App Store. 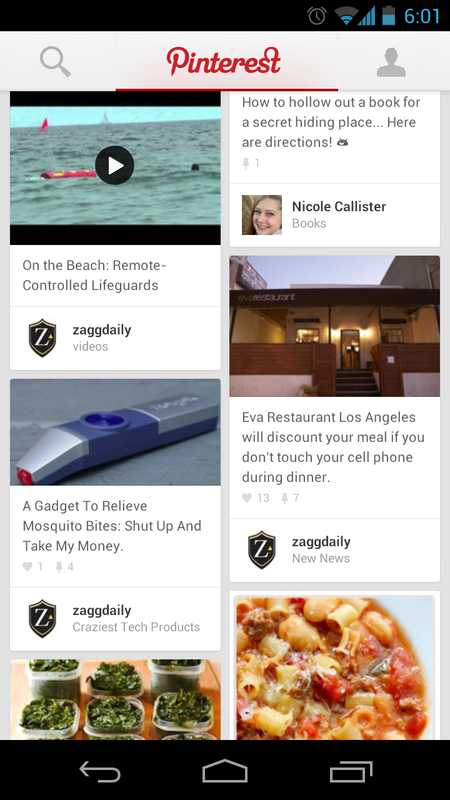 Check out Pinterest's App page to download the app now! Everyone should wants to own a tablet these days right? 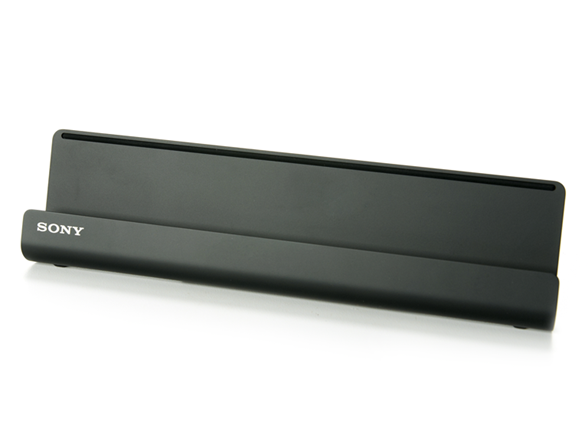 Why not purchase one that can control your Sony TV? That is of course if you own a Sony TV. This $259 tablet will not disappoint if you are looking for a simple Android tablet that will get the job done with speed. The built-in IR Blaster is a nice extra feature to have so you can quickly control your TV from an app without having to pick up your remote. This also comes with a cradle that will allow you to dock your device and keep it charged up for when you need it. If you are interested in the full spec sheet see below. Check out Woot.com for more photos and to purchase. This deals ends August 3rd so make sure you pick yours up before they are sold out. Make sure you check out Sony's website to see reviews and compare prices!